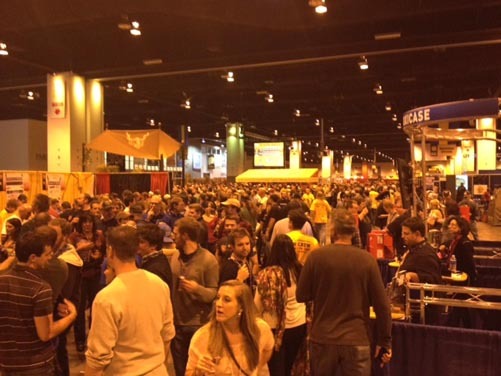 It was another sold-out session on Day 2 of the Great American Beer Festival, with thousands of craft beer enthusiasts on hand to sample over 2,700 beers at the Colorado Convention Center. 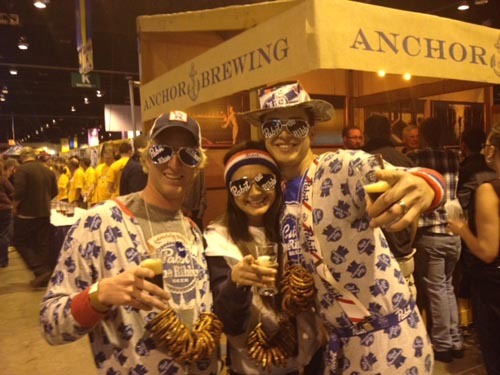 Continuing the theme from Thursday’s session, there were plenty of creative costumes among the crowd, adding to the festive atmosphere at the Anchor Brewing booth. 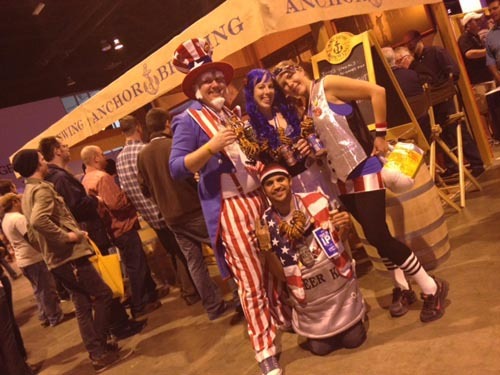 Part of what makes GABF special is connecting with friends from the industry, and a number of familiar faces stopped by to Raise an Anchor during Friday’s session. 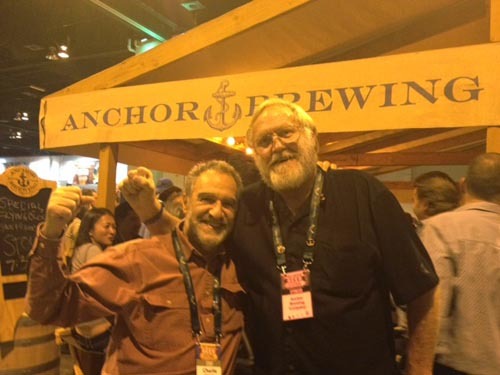 Bob Brewer with Brewers Association President Charlie Papazian. 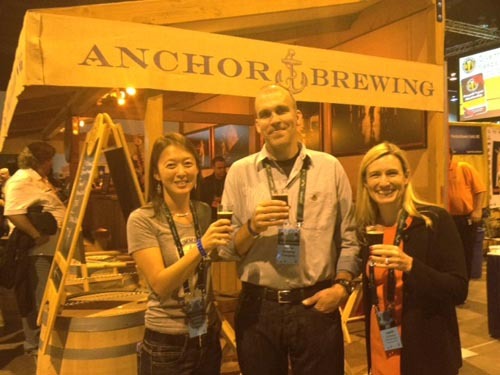 Belle and Phil with Laurie, who imports Anchor brews to Hong Kong. 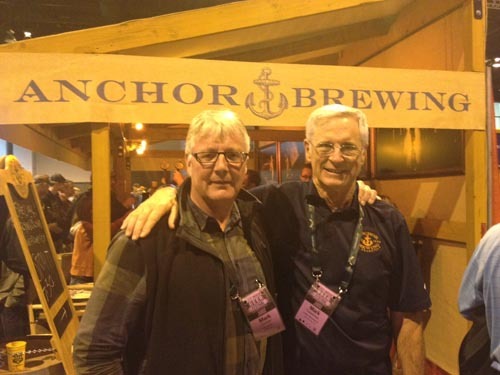 Anchor brewmaster Mark Carpenter with longtime friend, Mark Dorber, who managed the White Horse Pub in London for many years. 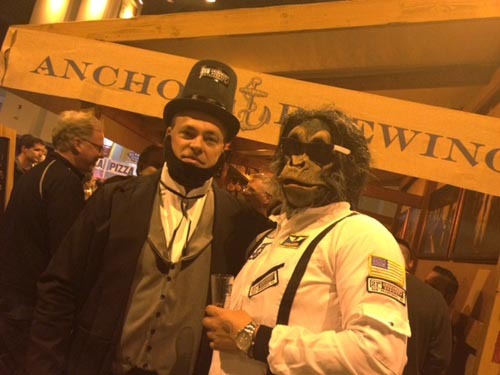 Mark Carpenter developed his appreciation for British milds during his many visits to the White Horse, and he credits Mr. Dorber with much of the inspiration for brewing Zymaster Series No 2.: Mark’s Mild. 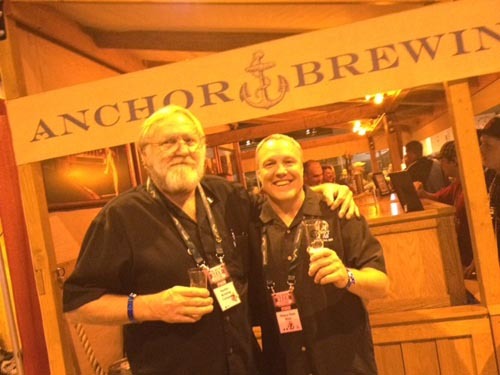 Bob Brewer with Joe from Heavy Seas Beer. 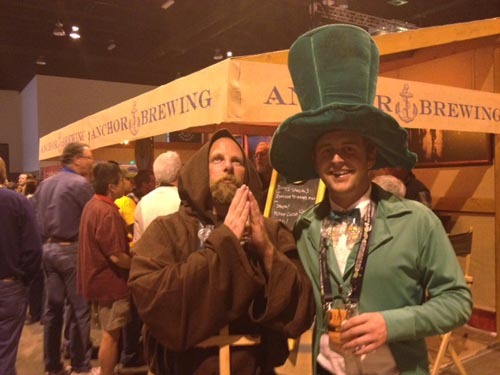 The guys from 21st Ammendment showing off their GABF style. 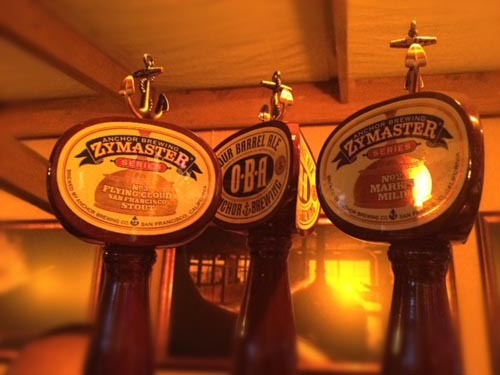 Our lineup for Friday’s session included special pours of Zymaster Series No. 3: Flying Cloud San Francisco Stout, Zymaster Series No. 2: Mark’s Mild, and Our Barrel Ale. Special Pours: Zymaster Series No. 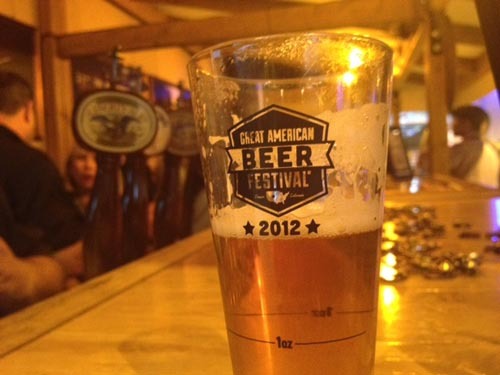 3: Flying Cloud San Francisco Stout, Our Barrel Ale. 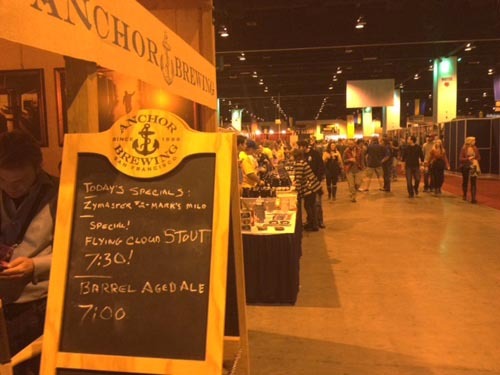 We hope you’ll stop by to say hello and Raise Your Anchor during tonight’s session. Cheers!